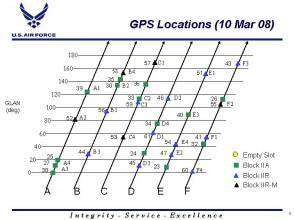 The fifth GPS Block IIF satellites is scheduled for launch from Cape Canaveral on February 20 after concerns regarding a 2012 launch anomaly led the Air Force to scrub a planned launch last fall. A Delta IV M+ will carry the spacecraft into orbit. Additional GPS IIF launches this year are tentatively set for May (Delta IV M+) and July (Atlas V rocket). The last GPS launch (GPS IIF-4) took place on May 13, 2013. Meanwhile, Lockheed Martin has reported the successful powering on of the second GPS Block III satellite payload at its Denver-area processing facility. 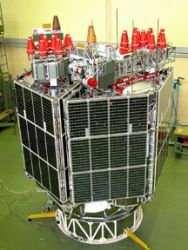 On December 19, engineers turned on power to the bus and network communications equipment payload of the GPS II Space Vehicle 2 (SV-02). The production milestone demonstrates the satellite’s mechanical integration, validates its interfaces, and leads the way for electrical and integrated hardware-software testing, according to Lockheed Martin. 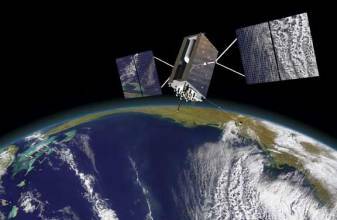 The company is currently under contract for production of the first six GPS III satellites (SV 01-06), with the first four funded under the original contract and the fifth and sixth recent fully funded by an exercised Air Force option on December 13. Lockheed Martin had previously received advanced procurement funding for long-lead components for the fifth, sixth, seventh and eighth satellites (SV 05-08. GPS III SV-01 is now in the integration and test flow leading to delivery "flight-ready" to the Air Force.